45Mb. My brief lab course from many years ago. Links, functional in CD, not operating in download. Additional full texts of articles have been added. 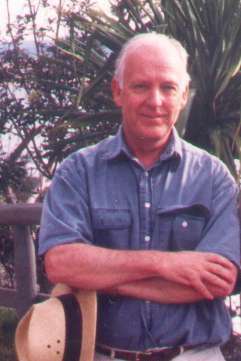 Barrie Jamieson B.Sc., Ph.D., D.Sc. 1. Jamieson, B.G.M. and Reynolds, J.F. 1967. Tropical Plant Types. 347 pp. Pergamon Press, Oxford. 2. Brinkhurst, R.O. and Jamieson, B.G.M. 1971. Aquatic Oligochaeta of the World. 860 pp. Oliver and Boyd, Edinburgh. 3. Jamieson, B.G.M. 1981. The Ultrastructure of the Oligochaeta. 462 pp. Academic Press, London. 4. Jamieson, B.G.M. 1987. The Ultrastructure and Phylogeny of Insect Spermatozoa. 320 pp. Cambridge University Press, Cambridge. Now available (2011) in paperback from CUP. 5. Jamieson, B.G.M. 1991. Fish Evolution and Systematics: Evidence from Spermatozoa. 319 pp. Cambridge University Press, Cambridge. 6. Jamieson, B.G.M., Ausio, J. and Justine, J.-L. (eds). 1995. Advances in Spermatozoal Phylogeny and Taxonomy. Mémoires du Muséum national d'Histoire Naturelle, vol. 166, Paris. 564 pp. 7. Jamieson, B.G.M., Dallai, R. and Afzelius, B.A. 1999. 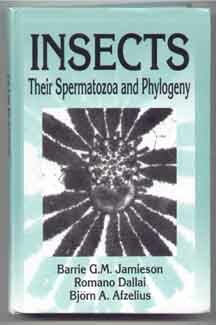 Insects Their Spermatozoa and Phylogeny. 555 pp. Science Publishers, New Hampshire, U.S.A.
8. Jamieson, B.G.M. (ed.). 1999. Reproductive Biology of Invertebrates. Volume IX. Progress in Male Gamete Ultrastructure and Phylogeny. Part A. K.G. Adiyodi and R.G. Adiyodi (Series eds). 271 pp. John Wiley & Sons, Chichester. 9. Jamieson, B.G.M. (ed.). 1999. Reproductive Biology of Invertebrates. Volume IX. Progress in Male Gamete Ultrastructure and Phylogeny. Part B. K.G. Adiyodi and R.G. Adiyodi (Series eds). pp. John Wiley & Sons, Chichester. 10. Jamieson, B.G.M. (ed.). 2000. Reproductive Biology of Invertebrates. Volume IX. Progress in Male Gamete Ultrastructure and Phylogeny. Part C. K.G. Adiyodi and R.G. Adiyodi (Series eds). 342 pp. John Wiley & Sons, Chichester. 13. Reproductive Biology and Phylogeny of Anura. Series Editor B.G.M. Jamieson. Volume 2. Editor B.G.M. Jamieson. Science Publishers, Inc., Enfield, New Hampshire, U.S.A. ISBN1-57808-288-9. 2003. 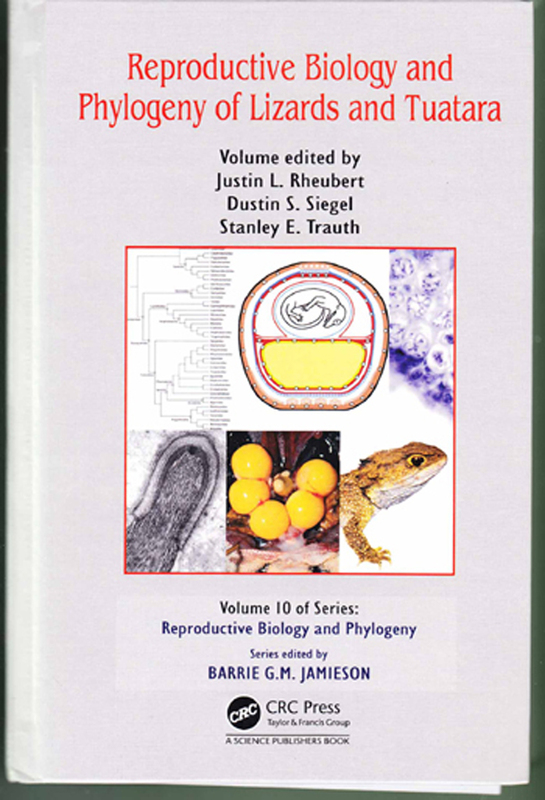 The book is an instructive summary of research and a pathway for biologists to new avenues of inquiry on amphibian reproduction. Marvalee H. Wake (2004). Quarterly Review of Biology, 79: 438. 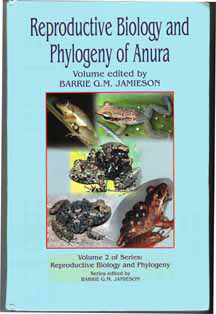 Reproductive Biology and Phylogeny of Anura is a must have for anyone who studies amphibians! The detail provided in this book is excellent and hard to find anywhere, let alone in a single source. Whether you are a wetland biologist, anuran biologist, or anuran veterinarian and whether you manage, medicate or research these amazing creatures, you will find something useful on every page of this book! 14. 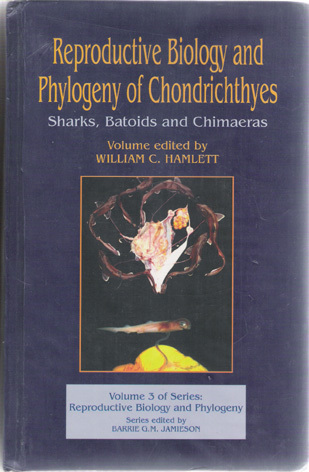 Reproductive Biology and Phylogeny of Chondrichthyes: Sharks, Batoids and Chimaeras. Series Editor B.G.M. Jamieson. Volume 3. Editor William C. Hamlett. Science Publishers, Inc., Enfield, New Hampshire, U.S.A. Plymouth, U.K. ISBN1-57808-314-1. 2005. 15. G.R. Dyne and B.G.M. Jamieson 2004. Native Earthworms of Australia II (Megascolecidae, Acanthodrilinae). ABRS, Australian Government Department of Environment and Heritage. 200pp. 16. 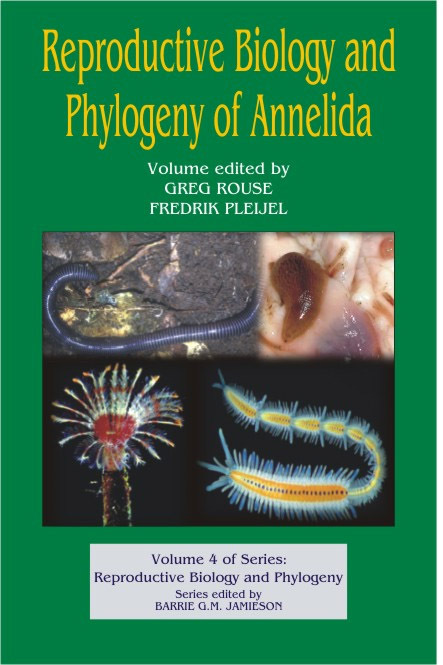 Reproductive Biology and Phylogeny of Annelida. Series Editor B.G.M. Jamieson. Volume 4. Editors Greg Rouse and Fredrik Pleijel. Science Publishers, Enfield, New Hampshire, U.S.A. Jersey, Plymouth, U.K. ISBN 1-57808-313-3. 2006. I recommend this book to all researchers and students interested in annelids and at US$135 it is a very reasonably priced given the large number of illustrations and colored plates and its sturdy binding. The authors and publishers should be congratulated on this. Pat Hutchings (2007). Integrative and Comparative Biology, Advance Access published online on June 18, 2007 . 17. 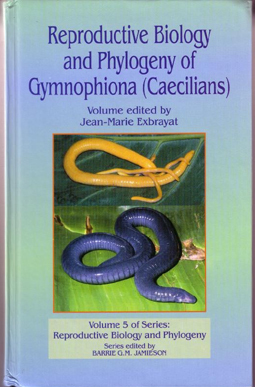 Reproductive Biology and Phylogeny of Gymnophiona (Caecilians). Series Editor B.G.M. Jamieson. Volume 5. Editor J.-M. Exbrayat. Enfield (NH), USA, Jersey, Plymouth, U.K. ISBN 1-57808-312-5- 978-1-57808-312-1. 2006. Read a Review by Tim Birkhead FRS. and other Parts of this series in its library' Timothy W. Crowe, in Cladistics 25 (2009) 105-106. 'it serves a valuable function for students who are interested in a summarized version of the grand field of reproductive biology of marine mammals'. Bernd Wuersig (2008). The Quarterly Review of Biology 83: 131-132. 20. Reproductive Biology and Phylogeny of Fishes (Agnathans and Bony Fishes). Series and Volume Editor B.G.M. Jamieson. Volumes 8A and 8B. Science Publishers, Enfield, New Hampshire, U.S.A. Jersey, Plymouth, U.K. 2009. http://www.scipub.net/. 22. Reproductive Biology and Phylogeny of Lizards and Tuatara. Rheubert J, Siegel D, Trauth S, editors. Jamieson BGM Series Editor. 2015. Boca Raton London New York: CRC Press. 748 p. ISBN 9781466579866 - CAT# K16869. 23. Schistosoma: Biology, Pathology, Control. Editor Barrie GM Jamieson. 2016. Boca Raton London New York: CRC Press. Published 20 October 2016. Available as hardcopy or e-book from CRC or as hardcopy or kindle from Amazon. 1. Jamieson, B.G.M. 1957. Some species of Pygmaeodrilus (Oligochaeta) from East Africa. Annals and Magazine of Natural History, Series 12, 10, 449-470. Full text, new scan. 2. Jamieson, B.G.M. 1962a. A redescription of Gordiodrilus paski Stephenson (Oligochaeta). Annals and Magazine of Natural History, Series 13, 4, 519-527. 3. Jamieson, B.G.M. 1962b. New species of Ocnerodrilinae (Oligochaeta). Proceedings of the Zoological Society of London 139, 607-626. 4. Jamieson, B.G.M. 1962c. Material of Gordiodrilus (Oligochaeta) in the British Museum (Natural History). Annals and Magazine of Natural History, Series 13, 5, 47-55. 5. Jamieson, B.G.M. 1963a. Material of Gordiodrilus (Oligochaeta) in the Zoological Museum, Hamburg. Mitteilungen aus dem zoologisches Museum, Hamburg 60, 43-55. 6. Jamieson, B.G.M. 1963b. A revision of the genus Gordiodrilus Beddard (Oligochaeta : Megascolecidae). Bulletin of the British Museum (Natural History) Zoology 9, 297-323. 8. Jamieson, B.G.M. 1965a. Two Ocnerodrilinae (Megascolecidae, Oligochaeta) from East Africa: Nematogenia lacuum (Beddard 1893) and Pygmaeodrilus montiskenyae sp. n. Annals and Magazine of Natural History, Series 13, 8, 95-107. 9. Jamieson, B.G.M. 1965b. Recognizing Australian earthworms. Australian Natural History, June 1965, 15, 39-43. 10. Jamieson, B.G.M. 1966a. Parahemiurus bennettae n. sp. (Digenea), a hemiurid trematode progenetic in Salinator fragilis Lamarck (Gastropoda, Amphibolidae). Proceedings of the Royal Society of Queensland 77, 73-80. New text. 11. Jamieson, B.G.M. 1966b. Larval stages of the progenetic trematode Parahemiurus bennnettae Jamieson, 1966 (Digenea, Hemiuridae) and the evolutionary origin of cercariae. Proceedings of the Royal Society of Queensland 77, 81-92. 12. Jamieson, B.G.M. 1967a. A taxonomic review of the African megadrile genus Stuhlmannia (Eudrilidae, Oligochaeta). Journal of Zoology London 152, 79-126. New text. 13. Jamieson, B.G.M. 1967b. 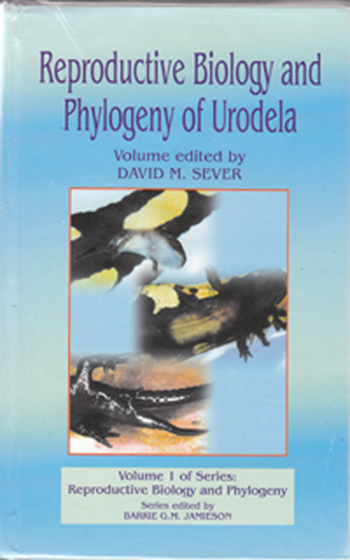 New records of Ocnerodrilidae and Lumbricidae (Oligochaeta) from South African rivers. Zoologica Africana 3, 59-86. 14. Jamieson, B.G.M. 1968a. Macquaridrilus: A new genus of Tubificidae (Oligochaeta) from Macquarie Island. University of Queensland papers. Department of Zoology 3, 55-69. 15. Jamieson, B.G.M. 1968b. A new species of Glyphidrilus (Microchaetidae: Oligochaeta) from East Africa. Journal of Natural History 2, 387-395. Full text. 16. Jamieson, B.G.M. 1968c. A taxonometric investigation of the Alluroididae (Oligochaeta). Journal of Zoology, London 155, 55- 86. 17. Jamieson, B.G.M. 1969a. A new Egyptian species of Chuniodrilus (Eudrilidae, Oligochaeta) with observations on internal fertilization and parallelism with the genus Stuhlmannia. Journal of Natural History 3, 41-51. Full text. 18. Jamieson, B.G.M. and Ghabbour, S.I. 1969b. The genus Alma (Microchaetidae: Oligochaeta) in Egypt and the Sudan. Journal of Natural History 3, 471-484. 19. Jamieson, B.G.M. 1970a. A Revision of the Australian earthworm genus Woodwardiella with descriptions of two new genera (Megascolecidae: Oligochaeta). Journal of Zoology, London 162, 99-144. 20. Jamieson, B.G.M. 1970b. Two new sympatric species of the earthworm genus Digaster (Megascolecidae: Oligochaeta) from Queensland. Proceedings of the Royal Society of Queensland 82, 35-46. 21. Jamieson, B.G.M. 1970c. 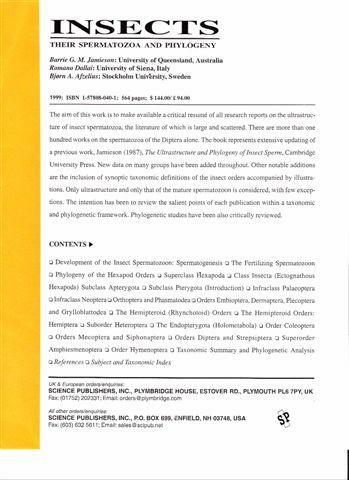 A taxonomic revision of the oligochaete genus Eukerria Michaelsen, 1935 (Ocnerodrilinae, Megascolecidae). Bulletin of the British Museum (Natural History) Zoology 20, 131-172. 22. Jamieson, B.G.M. 1971a. A review of the megascolecoid earthworm genera (Oligochaeta) of Australia. Part I - Reclassification and checklist of the megascolecoid genera of the world. Proceedings of the Royal Society of Queensland 82, 75-86. 23. Jamieson, B.G.M. 1971b. A review of the megascolecoid earthworm genera (Oligochaeta) of Australia. Part II - The subfamilies Ocnerodrilinae and Acanthodrilinae. Proceedings of the Royal Society of Queensland 82, 95-108. 24. Jamieson, B.G.M. 1971c. A review of the megascolecoid earthworm genera (Oligochaeta) of Australia. Part III - The subfamily Megascolecinae. Memoirs of the Queensland Museum 16, 69-102. 25. Jamieson, B.G.M. 1971d. Descriptions of the type-species of the earthworm genera Plutellus and Digaster (Megascolecidae : Oligochaeta). Bulletin du Muséum National d`Histoire Naturelle, Paris 2e Série 42, 1300-1310. 26. Jamieson, B.G.M. 1971e. Earthworms (Megascolecidae:Oligochaeta) from Western Australia and their zoogeography. Journal of Zoology, London 165, 471-504. Full text (low resolutioon). 27. Jamieson, B.G.M. 1972a. The Australian earthworm genus Spenceriella and description of two new genera (Megascolecidae: Oligochaeta). Memoirs of the National Museum of Victoria 33, 73-88. 28. Jamieson, B.G.M. 1972b. Further species of the Victorian earthworm genus Simsia Jamieson, 1972 (Megascolecidae: Oligochaeta) with a numerical analysis of intersetal ratios. Memoirs of the National Museum of Victoria 33, 89-108. 29. Jamieson, B.G.M. 1972c. A numerical study of the Australian earthworm genera Cryptodrilus Fletcher and Trinephrus Beddard, with a new genus (Megascolecidae: Oligochaeta). Zoological Journal of the Linnean Society 51, 147-175. 30. Jamieson, B.G.M. 1972d. Redescription of the type-species of the earthworm genus Notoscolex (Megascolecidae: Oligochaeta). Journal of Natural History 6, 515-519. Full text. 31. Jamieson, B.G.M. and Bradbury, E.A. 1972e. Investigation of the Australian earthworm genus Didymogaster (Megascolecidae: Oligochaeta) and discrimination of populations by analysis of setal ratios. Pedobiologia 12, 111-122. 32. Jamieson, B.G.M. 1972f. A new species of Digaster (Megascolecidae: Oligochaeta) from Queensland. Memoirs of the Queensland Museum 16, 261-264. 33. Jamieson, B.G.M. 1973a. Earthworms (Megascolecidae: Oligochaeta) from Mount Kosciusko, Australia. Records of the Australian Museum 28, 215-252. Full text. 34. Edmonds, S.J. and Jamieson, B.G.M. 1973b. A new genus and species of earthworm (Megascolecidae: Oligochaeta) from South Australia. Transactions of the Royal Society of South Australia 97, 23-27. 35. Jamieson, B.G.M. 1974a. The indigenous earthworms (Megascolecidae : Oligochaeta) of Tasmania. Bulletin of the British Museum (Natural History) Zoology 26, 201-328. 36. Jamieson, B.G.M. 1974b. Earthworms (Oligochaeta: Megascolecidae) from South Australia. Transactions of the Royal Society of South Australia 98, 79-112. 37. Jamieson, B.G.M. 1974c. The zoogeography and evolution of Tasmainian Oligochaeta. In Biogeography and Ecology in Tasmania. Williams, W. ed. pp. 195-228. The Hague, Dr. W. Junk. 40. Jamieson, B.G.M. 1975b. Catalogue of the named Megascolecidae (Oligochaeta : Annelida) in the National Museum of Natural History, Paris. Bulletin du Museum National d'Histoire Naturelle, 3e Série, no. 286, Zoologie 196, 129-154. 41. Jamieson, B.G.M. 1975c. The genus Digaster (Megascolecidae: Oligochaeta) in Queensland. Memoirs of the Queensland Museum 17, 267-292. 42. Jamieson, B.G.M. and Nash, W. 1976a. The first record of Plutellus (Megascolecidae:Oligochaeta) in Queensland P. incommodus and P. raveni spp. nov. Proceedings of the Royal Society of Queensland 87, 45-52. 43. Jamieson, B.G.M. 1976b. A re-examination of the type species of Diporochaeta Beddard, 1890 (Megascolecidae: Oligochaeta). Journal of the Royal Society of New Zealand 6, 37-44. 44. Jamieson, B.G.M. and Dyne, G.R. 1976c. The acanthodriline earthworm genus Microscolex (Diplotrema) (Megascolecidae: Oligochaeta) in the Northern Territory of Australia. Australian Journal of Zoology 24, 445-476. 45. Jamieson, B.G.M. 1976d. The genus Diporochaeta (Oligochaeta Megascolecidae) in Queensland. Zoologische Verhandelingen 149, 1-57. 46. Jamieson, B.G.M. 1977a. Bioluminescent Australian Earthworms, I. Digaster keasti sp. nov., (Megascolecidae), the first record of an oligochaete from Fraser Island. Proceedings of the Royal Society of Queensland 88, 83-88. Full text. 48. Jamieson, B.G.M. 1977c. On the phylogeny of the Moniligastridae with description of a new species of Moniligaster (Oligochaeta, Annelida). Evolutionary Theory 2, 95-114. Full text. 49. Jamieson, B.G.M. 1977d. Preliminary descriptions of Indian earthworms (Megascolecidae: Oligochaeta) from the Palni Hills. Bulletin du Museum National d`Histoire Naturelle, Paris, 3e Série, no. 450, Zoologie 313, 477-502. Full text. 50. Jamieson, B.G.M. 1977e. Marine meiobenthic Oligochaeta from Heron and Wistari Reefs (Great Barrier Reef) of the genera Clitellio, Limnodriloides and Phallodrilus (Tubificidae) and Grania (Enchytraeidae). Zoological Journal of the Linnean Society 61, 329-349. 51. Jamieson, B.G.M. 1978a. Phylogenetic and phenetic systematics of the opisthoporous Oligochaeta (Annelida: Clitellata). EvolutionaryTheory 3, 195-233. 52. Jamieson, B.G.M. 1978b. Rhyacodrilus arthingtonae a new species of freshwater Oligochaete (Tubificidae) from North Stradbroke Island, Queensland. Proceedings of the Royal Society of Queensland 89, 39-43. 53. Jamieson, B.G.M., Daddow, L. and Bennett, J.D. 1978c. Ultrastructure of the tubificid acrosome (Annelida, Oligochaeta). Zoologica Scripta 7, 115-118. 54. Jamieson, B.G.M. 1978d. A comparison of spermiogenesis and spermatozoal ultrastructure in megascolecid and lumbricid earthworms (Oligochaeta : Annelida). Australian Journal of Zoology26, 225-240. Full text. 55. Jamieson, B.G.M. and Bennett J.D. 1979a. New species of Acanthodrilinae and a new genus of Perionychini (Oligochaeta, Megascolecidae), from New Caledonia, their phylogeny and zoogeography. Bulletin du Muséum National d'Histoire Naturelle, 4e Série 1, section A, 353-403. Full text. 56. Jamieson, B.G.M. and Wampler, J.E. 1979b. Bioluminescent Australian earthworms. II. Taxonomy and preliminary report of bioluminescence in the genera Spenceriella, Fletcherodrilus and Pontodrilus (Megascolecidae: Oligochaeta). Australian Journal of Zoology 27, 637-669. Full text. 57. Jamieson, B.G.M. and Daddow, L. 1979c. An ultrastructural study of microtubules and the acrosome in spermiogenesis of Tubificidae (Oligochaeta). Journal of Ultrastructure Research 67, 209-224. 58. Wampler, J.E. and Jamieson, B.G.M. 1980a. Earthworm bioluminescence: comparative physiology and biochemistry. Comparative Biochemistry and Physiology 66B, 43-50. Full text. 59. Jamieson, B.G.M., Daddow, L. and Bennett, J. 1980b. Some aspects of the ultrastructure of the acrosome of the Tubificidae (Annelida, Oligochaeta). Pedobiologia 20, 146. 60. Jamieson, B.G.M. 1980c. Preliminary observations on spermiogenesis and spermatozoal ultrastructure in megascolecid earthworms and a comparison with the Lumbricidae. Pedobiologia 20, 146. 61. Jamieson, B.G.M. 1980d. Preliminary discussion of an Hennigian analysis of the phylogeny and systematics of opisthoporous oligochaetes. Pedobiologia 20, 149. 62. Jamieson, B.G.M. 1980e. Preliminary discussion of an Hennigian analysis of the phylogeny and systematics of opisthoporous oligochaetes. Revue d'Ecologie et de Biologie du Sol (Paris) 17, 261-275. 63. Jamieson, B.G.M. 1981a. Historical biogeography of Australian Oligochaeta. In Ecological Biogeography of Australia. Keast, A. ed. pp. 887-921. Dr. W. Junk, The Hague. 64. Erséus, C. and Jamieson, B.G.M. 1981b. Two new genera of marine Tubificidae (Oligochaeta) from Australia's Great Barrier Reef. ZoologicaScripta 10, 105-110. 65. Jamieson, B.G.M., Wampler, J.E. and Schultz, M.C. 1981c. Preliminary ultrastructural description of coelomocytes of the luminescent oligochaete, Pontodrilusbermudensis (Annelida). In Bioluminescence and Chemiluminescence : Basic Chemistry and Analytical Applications. DeLuca, M.A. and McElroy, W.D. eds. pp. 543-559. Academic Press, New York. Full text. 66. Jamieson, B.G.M. 1981d. Ultrastructure of spermatogenesis in Phreodrilus (Phreodrilidae, Oligochaeta, Annelida). Journal of Zoology, London 194, 393-408. 67. Healy, J.M. and Jamieson, B.G.M. 1981e. An ultrastructural examination of developing and mature paraspermatozoa in Pyrazus ebeninus (Mollusca, Gastropoda, Potamididae). Zoomorphology 98, 101-119. 68. Richards, K.S., Fleming, T.P. and Jamieson, B.G.M. 1981f. Aberrant spermatozoa and spermatids, and observations on phagocytosis, in Sparganophilus tamesis (Sparganophilidae, Oligochaeta, Annelida): an ultrastructural study. International Journal of Invertebrate Reproduction 4, 181-191. 69. Jamieson, B.G.M., Fleming, T.P. and Richards, K.S. 1982a. An ultrastructural study of spermatogenesis and spermatozoal morphology in Sparganophilustamesis (Sparganophilidae, Oligochaeta, Annelida). Journal of Zoology, London 196, 63-79. 70. Richards, K.S., Fleming, T.P. and Jamieson, B.G.M. 1982b. An ultrastructural study of the distal epidermis and the occurrence of subcuticular bacteria in the gutless tubificid Phallodrilus albidus (Oligochaeta : Annelida). Australian Journal of Zoology 30, 327-336. Full text. 72. Jamieson, B.G.M. and Daddow L.M. 1982d. The ultrastructure of the spermatozoon of Neochasmus sp. (Cryptogonimidae, Digenea, Trematoda) and its phylogenetic significance. International Journal for Parasitology 12, 547-559. 73. Daddow, L.Y.M. and Jamieson, B.G.M. 1983a. An ultrastructural study of spermiogenesis in Neochasmus sp. (Cryptogonimidae : Digenea : Trematoda). Australian Journal of Zoology 31, 1-14. Full text. 74. Jamieson, B.G.M. 1983b. Spermatozoal ultrastructure: evolution and congruence with a holomorphological phylogeny of the Oligochaeta (Annelida). Zoologica Scripta 12, 107-114. 75. Jamieson, B.G.M. 1983c. Spermiogenesis in the oligochaetoid polychaete Questa (Annelida, Questidae). Zoologica Scripta 12, 179-186. 76. Jamieson, B.G.M. 1983d. The ultrastructure of the spermatozoon of the oligochaetoid polychaete Questa sp. (Questidae, Annelida) and its phylogenetic significance. Journal of Ultrastructure Research 84, 238-251. 77. Jamieson, B.G.M., Richards, K.S., Fleming, T.P. and Erséus, C. 1983e. Comparative morphometrics of oligochaete spermatozoa and egg-acrosome correlation. Gamete Research 8, 149-169. Full text. 78. Ferraguti, M. and Jamieson, B.G.M. 1984a. Spermiogenesis and spermatozoal ultrastructure in Hormogaster (Hormogastridae, Oligochaeta, Annelida). Journal of Submicroscopic Cytology 16, 307-316. 79. Jamieson, B.G.M. 1984b. A phenetic and cladistic study of spermatozoal ultrastructure in the Oligochaeta (Annelida). Hydrobiologia 115, 3-13. Full text. 80. Jamieson, B.G.M. 1984c. Spermatozoal ultrastructure in Branchiostomamoretonensis Kelly, a comparison with B. lanceolatum (Cephalochordata) and with other deuterostomes. Zoologica Scripta 13, 223-229. .
81. Jamieson, B.G.M. and Webb, R.I. 1984d. The morphology, spermatozoal ultrastructure and phylogenetic affinities of a new species of questid (Polychaeta; Annelida). In Proceedings of the First International Polychaete Conference, Sydney. Hutchings, P.A. ed. pp. 21-34. The Linnean Society of New South Wales, Sydney. 82. Jamieson, B.G.M. 1985a. The Spermatozoa of the Holothuroidea (Echinodermata): an ultrastructural review with data on two Australian species and phylogenetic discussion. Zoologica Scripta 14, 123-135. 83. Jamieson, B.G.M., Afzelius, B.A. and Franzén, A. 1985b. Ultrastructure of the acentriolar, aflagellate spermatozoa and the eggs of Histriobdella homari and Stratiodrilus novaehollandiae (Histriobdellidae, Polychaeta). Journal of Submicroscopic Cytology 17, 363-380. 84. Wampler, J.E. and Jamieson, B.G.M. 1986a. Cell bound bioluminescence from Pontodrilus bermudensis, and its similarities to other earthworm bioluminescence. Comparative Biochemistry and Physiology 84A, 81-87. Full text. 85. Jamieson, B.G.M. 1986b. Onychophoran-euclitellate relationships: evidence from spermatozoal ultrastructure. Zoologica Scripta 15, 141-155. 87. Jamieson, B.G.M. 1986d. Some recent studies on the ultrastructure and phylogeny of annelid and uniramian spermatozoa. Development Growth and Differentiation 28 Supplement, 25-26. Full text. 88. Cummins, J.M. and Jamieson, B.G.M. 1986e. On axes and symmetry in spermatozoa. Development Growth and Differentiation 28 Supplement, . 110. 89. Jamieson, B.G.M. 1987a. A biological classification of sperm types, with special reference to annelids and molluscs, and an example of spermiocladistics. In New Horizons in Sperm Cell Research. Mohri, H. ed. pp. 311-332. Japan Scientific Societies Press. Gordon and Breach Science Publishers, New York. 90. Jamieson, B.G.M., Erséus, C. and Ferraguti, M. 1987b. Parsimony analysis of the phylogeny of some Oligochaeta (Annelida) using spermatozoal ultrastructure. Cladistics 3, 145-155. 91. Ferraguti, M. and Jamieson, B.G.M. 1987c. Spermiogenesis in Bythonomus lemani and the phylogenetic position of the Lumbriculidae (Oligochaete, Annelida). Hydrobiologia 155, 123-134. 92. Pettigrew, J.D. and Jamieson, B.G.M. 1987d. Are flying-foxes (Chiroptera: Pteropodidae) really primates? Australian Mammalogy 10, 119-124. 93. Rouse, G.W. and Jamieson, B.G.M. 1987e. An ultrastructural study of the spermatozoa of the polychaetes Eurythoe complanata (Amphinomidae), Clymenella sp. and Micromaldane sp. (Maldanidae), with definition of sperm types in relation to reproductive biology. Journal of Submicroscopic Cytology 19, 573-584. 94. Jamieson, B.G.M. 1988a. XXII. Oligochaete ultrastructure: some comparisons with the Polychaeta. In The Ultrastructure of the Polychaeta. Westheide, W. and Hermans, C.O. eds. Microfauna Marina 4. pp. 397-428. Gustav Fischer Verlag, Stuttgart. 95. Jamieson, B.G.M. 1988b. On the phylogeny and higher classification of the Oligochaeta. Cladistics 4, 367-410. The 50 oligochaete taxa representing all familes of "opisthoporous"oligochaetes (Alluroididae, earthworms and aquatic "megadriles") together with two representatives of the Haplotaxidae and three examples of"microdiles" were subjected to cladistic analysis using the PAUP program. Sixty-eight characters used in the analyses were derived from acomprehensive range of somatic and genital systems. The optimal result, interms of maximal number of characters and taxa and of parsimony, produced two trees (consistency index 0.362) differing only in the placement of the monotypic clade of the family Lumbriculidae. From a line originating from the presumed octogonadial ancestor, the following branches were derived, in sequence from the basal to most derived (new taxa asterisked): subclass RANDIELLATA* (order RANDIELLIDA*, Randiellidae); subclass TUBIFICATA* (order Tubificida, Tubificidae, Naididae computed and others not computed: subclass LUMBRICULATA* (order Lumbriculida, Lumbriculidae): superorder HAPLOTAXIDEA* (order Haplotaxida, Haplotaxidae); order Moniligastrida (Moniligastridae); suborder Alluroidina (Alluroididae and Syngenodrilidae); cohort AQUAMEGADRILI* (with, in succession, superfamilies Sparganophiloidea, Sparganophilidae; Biwadriloidea, Biwadrilidae, and Almoidea-Lutodrilidae and Almidae, including Criodrilus); superfamily EUDRILOIDEA*, superfamily Lumbricoidea and, as the adelphotaxon of the latter, the superfamily Megascolecoidea. Intermediate nodes were given the following names, with the adelphotaxon through to the Megascolecoidea. M, in parentheses: subclass Diplotesticulata (Haplotaxidea-M); superorder METAGYNOPOHORA* (Moniligastrida-M): order Opisthopora (Alluroidina-M); suborder CRASSICLITELLATA* (Aquamegadrili-M); cohort TERRIMEGADRILI* (Ocnerodriloidea-M); unnamed (Eudriloides-M); unnamed (Lumbricoidea and Megascolecoidea). Recognition of the Randiellata, which alone were added intuitively and not computed, and the position of the Lumbriculata, are tentative. Location of the Lumbricoidea as the adelphotaxon of a restricted Megascoecloidea is heuristic, but the alternative depiction of lumbricoids in some analyses, as the adelphotaxon of an ocnerodrilid-eudrilid-megascolecoid clade (the conventional Megascolecoidea s. lat. ), is not conclusively dimissed. 96. Jamieson, B.G.M. and Newman, L.J. 1989a. The phylogenetic position of the heteropod Atlanta gaudichaudi Souleyet (Gastropoda, Mollusca), a spermatological investigation. Zoologica Scripta 18, 269-278. 97. Jamieson, B.G.M. 1989b. The ultrastructure of the spermatozoa of four species of Xanthid crabs (Crustacea, Brachyura, Xanthidae). Journal of Submicroscopic Cytology and Pathology 21, 579-584. 98. Jamieson, B.G.M. 1989c. Ultrastructural comparison of the spermatozoa of Ranina ranina (Oxystomata) and of other crabs exemplified by Portunus pelagicus (Brachygnatha) (Crustacea, Brachyura). Zoomorphology 109, 103-111. Full text. 99. Jamieson, B.G.M. and Rouse, G.W. 1989d. The spermatozoa of the Polychaeta (Annelida): an ultrastructural review.Biological Reviews 64, 93-157. Full text. 100. Healy, J.M. and Jamieson, B.G.M. 1989e. An ultrastructural study of spermatozoa of Helix aspersa and Helix pomatia (Gastropoda, Pulmonata). Journal of Molluscan Studies 55, 389-404. Full text. Society of London,B 325, 489-559. Full text. 101. Jamieson, B.G.M. 1989g. Complex spermatozoon of the live-bearing half-beak, Hemirhamphodon pogonognathus (Bleeker): ultrastructural description (Euteleostei, Atherinomorpha, Beloniformes). Gamete Research 24, 247-259. Full text. 102. Jamieson, B.G.M. 1989h. A comparison of the spermatozoa of Oratosquilla stephensoni and Squilla mantis (Crustacea, Stomatopoda) with comments on the phylogeny of the Malacostraca. Zoologica Scripta 18, 509-517. 103. Jamieson, B.G.M. 1990a. The ultrastructure of the spermatozoa of Petalomera lateralis (Gray) (Crustacea, Brachyura, Dromiacea) and its phylogenetic significance. Invertebrate Reproduction and Development 17, 39-45. 104. Jamieson, B.G.M. and Tudge, C.C. 1990b. Dorippids are Heterotremata: evidence from ultrastructure of the spermatozoa of Neodorippe astuta (Dorippidae) and Portunus pelagicus (Portunidae) Brachyura: Decapoda. Marine Biology 106, 347-354. Full text. 106. Tudge, C.C. and Jamieson, B.G.M. (1991). Ultrastructure of the mature spermatozoon of the Coconut Crab, Birgus latro (Coenobitidae, Paguroidea, Decapoda). Marine Biology 108, 395-402. Full text. 107. Jamieson, B.G.M. 1991b. Ultrastructure and phylogeny of crustacean spermatozoa. Memoirs of the Queensland Museum 31, 109-142. 108. Jamieson, B.G.M., Hodgson, A.N. and Bernard, R.T.F. 1991c. Phylogenetic trends and variation in the ultrastructure of the spermatozoa of sympatric species of South African patellid limpets (Archaeogastropoda, Mollusca). Invertebrate Reproduction and Development 20, 137-146. 109. Healy, J.M. and Jamieson, B.G.M. 1991d. Ultrastructure of spermiogenesis in the gastropod Heliacus variegatus (Architectonicidae), with description of a banded periaxonemal helix. Marine Biology 109, 67-77. Full text. 110. Jamieson, B.G.M. 1991e. Sperm and Phylogeny in the Brachyura (Crustacea). In Comparative Spermatology 20 Years After. 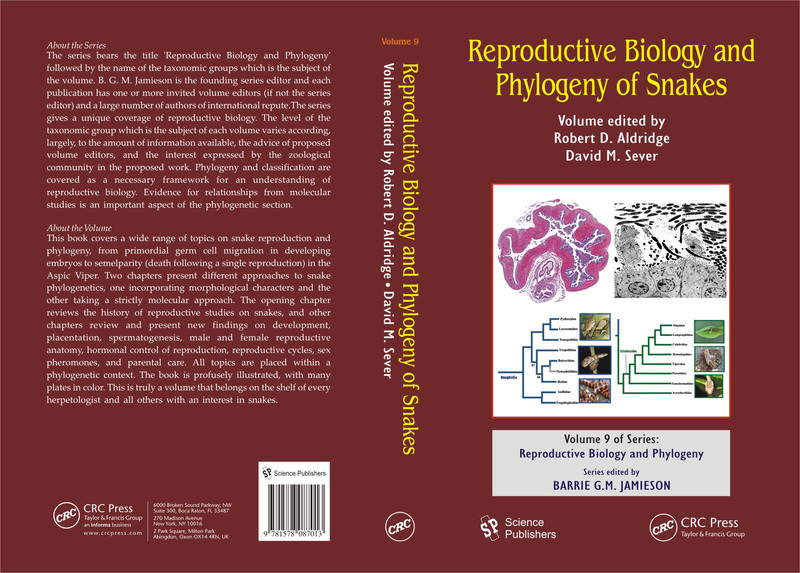 Serono Symposia Publications from Raven Press, Vol. 75. Baccetti, B. ed. pp. 967-972. Raven Press, New York. 111. Healy, J.M. and Jamieson, B.G.M. 1992a. Ultrastructure of the spermatozoa of the tuatara (Sphenodon punctatus) and its relevance to the relationships of the Sphenodontida. Philosophical Transactions of the Royal Society London, B 335, 193-205. Full text. 112. Jamieson, B.G.M. and Healy, J.M. 1992b. The phylogenetic position of the tuatara, Sphenodon (Sphenodontida, Amniota), as indicated by cladistic analysis of the ultrastructure of spermatozoa. Philosophical Transactions of the Royal Society London, B 335, 207-219. Full text. 113. Storch, V. and Jamieson, B.G.M. 1992c. Further spermatological evidence for including the Pentastomida (Tongue worms) in the Crustacea. 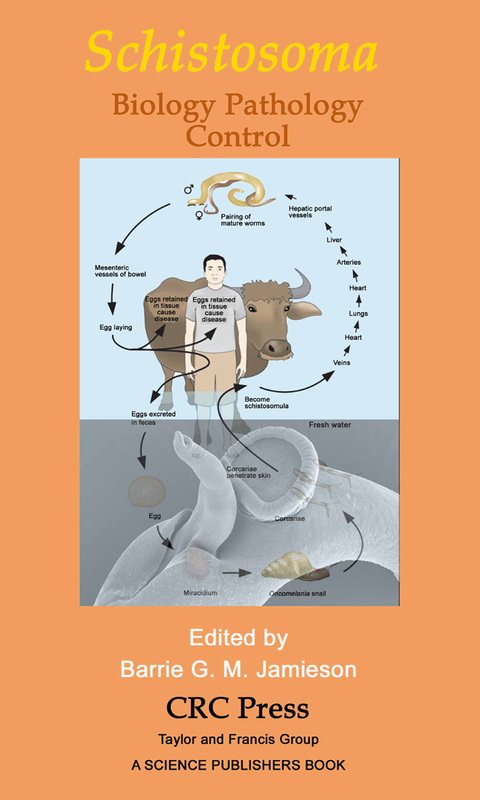 International Journal for Parasitology 22, 95-108. Full text. 114. Hodgson, A.N. and Jamieson, B.G.M. 1992d. Spermatogenesis in the earthworm Microchaetus pentheri (Oligochaeta, Microchaetidae). Zoomorphology 112, 57-66. Full text. 115. Jamieson, B.G.M. 1992e. Oligochaeta. In Microscopic Anatomy of Invertebrates. Harrison, F.W. ed. Volume 7. Annelida. Harrison F.W. and Gardiner, S. L. eds. pp. 217-322. Wiley-Liss, New York. 116. Jamieson, B.G.M. and Daddow, L. 1992f. The spermatozoon of Eudrilus eugeniae (Oligochaeta: Annelida): the first record of an endonuclear canal in oligochaete spermatozoa. Journal of Submicroscopic Cytology and Pathology 24, 323-333. 117. Lee, M.S.Y. and Jamieson, B.G.M. 1992g. The ultrastructure of the spermatozoa of three species of myobatrachid frogs (Anura, Amphibia) with phylogenetic considerations. Acta Zoologica (Stockholm) 73, 213-222. Full text. 118. Lee, M.S.Y. and Jamieson, B.G.M. 1993a. The ultrastructure of the spermatozoa of bufonid and hylid frogs (Anura, Amphibia): implications for phylogeny and fertilization biology. Zoologica Scripta 22, 309-323. Full text. 119. Jamieson, B.G.M. 1993b. Spermatological evidence for the taxonomic status of Trapezia (Crustacea: Brachyura: Heterotremata). Memoirs of the Queensland Museum 33, 225-234. 120. Jamieson, B.G.M. 1993c. Ultrastructure of the spermatozoon of Potamonautes perlatus sidneyii (Heterotremata, Brachyura, Crustacea). South African Journal of Zoology 28, 40-45. 121. Jamieson, B.G.M., Lee, M.S.Y. and Long, K. 1993d. Ultrastructure of the spermatozoon of the internally fertilizing frog Ascaphus truei (Ascaphidae: Anura: Amphibia) with phylogenetic considerations. Herpetologica 49, 52-65. 122. Jamieson, B.G.M. 1993e. A taxonomic revision of the eastern Australian earthworm genus Perissogaster Fletcher (Megascolecidae: Oligochaeta). Memoirs of the Queensland Museum 33, 235-244. 123. Justine, J.-L., Jamieson, B.G.M. and Southgate, V.R. 1993f. Homogeneity of sperm structure in six species of Schistosomes (Digenea, Platyhelminthes). Annales de Parasitologie Humaine et Comparative 68, 185-187. Full text. Sperm ultrastructure is described in six species of schistosomes: Schistosoma curassoni, S. rodhaini, S. intercalatum, S. bovis, S margrebowiei, and S. mansoni. Sperm structure in the schistosomes is homogeneous, but very different from that of other Digenea. 124. Jamieson, B.G.M. and Grier, H. J. 1993g. Influences of phylogenetic postion and fetilization biology on spermatozoal ultrastructure exemplified by exocoetoid and poeciliid fish. Hydrobiologia 271, 11-25. Full text. 125. Jamieson, B.G.M., Guinot, D. and Richer de Forges, B. 1993h. The spermatozoon of Calocarcinus africanus (Heterotremata, Brachyura, Crustacea): ultrastructural synapomorphies with xanthid sperm. Invertebrate Reproduction and Development 24, 189-196. 126. Jamieson, B.G.M., Tudge, C.C. and Scheltinga, D.M. 1993i. The ultrastructure of the spermatozoon of Dromidiopsis edwardsi Rathbun, 1919 (Crustacea : Brachyura : Dromiidae): confirmation of a dromiid sperm type. Australian Journal of Zoology 41, 537-548. Full text. 127. Jamieson, B.G.M. and Scheltinga, D.M. 1993j. The ultrastructure of spermatozoa of Nangura spinosa (Scincidae, Reptilia). Memoirs of the Queensland Museum 34, 169-179. 128. Jamieson, B.G.M., Guinot, D. and Richer de Forges, B. 1993k. The ultrastructure of the spermatozoon of Paradynomene tuberculata Sakai, 1963 (Crustacea, Brachyura, Dynomenidae): synapomorphies with dromiid sperm. Helgolander Meeresuntersuchungen 47, 311-322. Full text. 129. Jamieson, B.G.M., Guinot, D. and Richer de Forges, B. 1993l. Spermatozoal ultrastructure in four genera of Homolidae (Crustacea, Decapoda): exemplified by Homologenus sp., Latreillopsis sp., Homolomannia sibogae and Paromolopsis boasi. Helgolander Meeresuntersuchungen 47, 323-334. Full text. 130. Healy, J.M. and Jamieson, B.G.M. 1993m. Euspermatozoa, paraspermatozoa and spermatozeugmata of Littoraria (Palustorina) articulata (Prosobranchia: Caenogastropoda) with special reference to the Pseudotrich. Acta Zoologica (Stockholm) 74, 321-330. 131. Jamieson, B.G.M., Guinot, D. and Richer de Forges, B. 1994a. Podotreme affinities of Raninoides sp. and Lyreidus brevifrons: evidence from spermatozoal ultrastructure (Crustacea: Brachyura: Raninoidea). Marine Biology 120, 239-249. Full text. 132. Jamieson, B.G.M., Guinot, D. and Richer de , B. 1994b. Relationships of the Cyclodoroippidea Ortmann: evidence from spermatozoal ultrastructure in the genera Xeinostoma, Tymolus and Cymonomus (Crustacea, Decapoda). Invertebrate Reproduction and Development 26, 153-164. 133. Guinot, D., Jamieson, B.G.M. and Richer de Forges, B. 1994c. Relationship of Homolidae and Dromiidae: evidence from spermatozoal ultrastructure (Crustacea, Decapoda). Acta Zoologica (Stockholm) 75, 255-267. 134. Zhu, D., Jamieson, B.G.M., Hugell, A. and Moritz, C. 1994d. Sequence evolution and phylogenetic signal in control-region and cytochrome b sequences of rainbow fishes (Melanotaeniidae). Molecular Biology and Evolution 11, 672-683. 135. Jamieson, B.G.M. and Scheltinga, D.M. 1994e. The ultrastructure of spermatozoa of the Australian skinks, Ctenotus taeniolatus, Carlia pectoralis and Tiliqua scincoidesscincoides (Scincidae, Reptilia). Memoirs of the Queensland Museum 37, 181-193. 136. Healy, J.M. and Jamieson, B.G.M. 1994f. The ultrastructure of spermatogenesis and epididymal spermatozoa of the tuatara Sphenodon punctatus (Sphenodontida, Amniota). Philosophical Transactions of the Royal Society London, B 344, 187-199. Full text. 137. Jamieson, B.G.M. 1994g. Chapter 38. Simple Animals: Sponges to Nematodes. In Biology. Knox, B., Ladiges, P. and Evans, B. eds. pp 833-854. McGraw-Hill Book Company, Sydney. 138. Jamieson, B.G.M. 1994h. Chapter 39. Annelids, Arthropods and Molluscs. In Biology. Knox, B., Ladiges, P. and Evans, B. eds. pp 855-878. McGraw-Hill Book Company, Sydney. 139. Jamieson, B.G.M. 1994i. Chapter 40. Echinoderms and Chordates. In Biology. Knox, B., Ladiges, P. and Evans, B. eds. pp 879-903. McGraw-Hill Book Company, Sydney. 140. Jamieson, B.G.M. 1994j. Phylogeny of the Brachyura with particular reference to the Podotremata: evidence from a review of spermatozoal ultrastructure (Crustacea, Decapoda). Philosophical Transactions of the Royal Society London, B 345, 373-393. Full text. 141. Jamieson, B.G.M. and Koehler, L. 1994k. The ultrastructure of the spermatozoon of the Northern Water Snake, Nerodia sipedon (Colubridae, Serpentes), with phylogenetic considerations. Canadian Journal of Zoology 72, 1648-1652. Full text. 142. Jamieson, B.G.M. 1994l. Some earthworms from the wet tropics and from Bunya mountains, Queensland (Megascolecidae: Oligochaeta). Memoirs of the Queensland Museum 37, 157-181. 143. Jamieson, B.G.M., Koehler, L. and Todd, B.J. 1995a. Spermatozoal ultrastructure in three species of parrots (Aves, Psittaciformes) and its phylogenetic implications. The Anatomical Record 241, 461-468. Full text. 144. Jamieson, B.G.M. 1995b. New species and a new genus of earthworms in the collections of the Queensland Museum (Megascolecidae: Oligochaeta). Memoirs of the Queensland Museum 38, 575-596. 145. Jamieson, B.G.M. 1995c. The ultrastructure of spermatozoa of the Squamata (Reptilia) with phylogenetic considerations. In Advances in Spermatozoal Phylogeny and Taxonomy. Jamieson, B.G.M., Ausio, J. and Justine, J.-L. eds. pp. 359-383. Mémoires du Muséum national d'Histoire Naturelle, vol. 166, Paris. Full text. 146. Jamieson, B.G.M., Guinot, D. and Richer de Forges, B. 1995d. Phylogeny of the Brachyura (Crustacea, Decapoda): evidence from spermatozoal ultrastructure. In Advances in Spermatozoal Phylogeny and Taxonomy. Jamieson, B.G.M., Ausio, J. and Justine, J.-L. eds. pp. 265-283. Mémoires du Muséum national d'Histoire Naturelle, vol. 166, Paris. 147. Jamieson, B.G.M. 1995e. Evolution of tetrapod spermatozoa with particular reference to amniotes. In Advances in Spermatozoal Phylogeny and Taxonomy. Jamieson, B.G.M., Ausio, J. and Justine, J.-L. eds. pp. 343-358. Mémoires du Muséum national d'Histoire Naturelle, vol. 166, Paris. 148. Jamieson, B.G.M., Oliver, S.C. and Scheltinga, D.M. 1996a. The ultrastructure of the spermatozoa of Squamata--I. Scincidae, Gekkonidae and Pygopodidae (Reptilia). Acta Zoologica 77, 85-100. Full text. 149. Jamieson, B.G.M. and Guinot, D. 1996b. Ultrastructure of the spermatozoon of Australocarcinus riparius (Crustacea: Brachyura: Gonoplacidae: Trogloplacinae). Memoirs of the Queensland Museum 39, 289-296. 150. Oliver, S.C., Jamieson, B.G.M. and Scheltinga, D.M. 1996c. The ultrastructure of spermatozoa of Squamata. II. Agamidae, Varanidae, Colubridae, Elapidae, and Boidae (Reptilia). Herpetologica 52, 216-241. 151. Jamieson, B.G.M., Guinot, D. and Richer de Forges, B. 1996d. Contrasting spermatozoal ultrastructure in two thoracotreme crabs, Cardisoma carnifex (Gecarcinidae) and Varuna litterata (Grapsidae) (Crustacea: Brachyura). Invertebrate Reproduction and Development 29, 111-126. 152. Tudge, C.C. and Jamieson, B.G.M. 1996e. Spermatophore and spermatozoal morphology in the Porcellanidae. II. The genera Petrolisthes and Polyonyx (Decapoda: Anomura). Journal of Crustacean Biology 16, 535-546. Full text. 153. Tudge, C.C. and Jamieson, B.G.M. 1996f. Spermatophore and spermatozoal morphology in the Porcellanidae. I. Aliaporcellana suluensis and Pisidia longicornis (Decapoda: Anomura: Porcellanidae). Crustacean Research 25, 73-85. Full text. 154. Guinot, D., Jamieson, B.G.M. and Tudge, C.C. 1997a. Ultrastructure and relationships of spermatozoa of the freshwater crabs Potamon fluviatile and Potamon ibericum (Crustacea, Brachyura, Potamidae). Journal of Zoology 241, 229-244. Full text. 155. Jamieson, B.G.M. 1997b. Some new and previously known earthworm species from Cape York Peninsula (Annelida: Oligochaeta: Megascolecidae). Memoirs of the Queensland Museum 42, 233-270. 156. Jamieson, B.G.M., Scheltinga, D.M. and Tucker, A.D. 1997c. The ultrastructure of spermatozoa of the Australian freshwater crocodile, Crocodylus johnstoni Krefft, 1873 (Crocodylidae, Reptilia). Journal of Submicroscopic Cytology and Pathology 29, 265-274. Full text. 157. Jamieson, B.G.M., Guinot, D., Tudge, C.C. and Richer de Forges, B. 1997d. Ultrastructure of the spermatozoa of Corystes cassivelaunus (Corystidae), Platepistoma nanum (Cancridae) and Cancer pagurus (Cancridae) supports recognition of the Corystoidea (Crustacea, Brachyura, Heterotremata). Helgolander Meeresuntersuchungen 51, 83-93. Full text. 158. Mollaret, I., Jamieson, B.G.M., Hugall, A. and Justine, J.-L. 1997e. Non-monophylie des Monogenea et phylogénie des Plathelminthes parasites: une étude basée sur l’ADN 28S. Société Française de Parasitolgie, 8-9 Décembre 1997, UFR Cochin Port-Royal, Paris. 159. Meyer, E., Jamieson, B.G.M. and Scheltinga, D.M. 1997f. 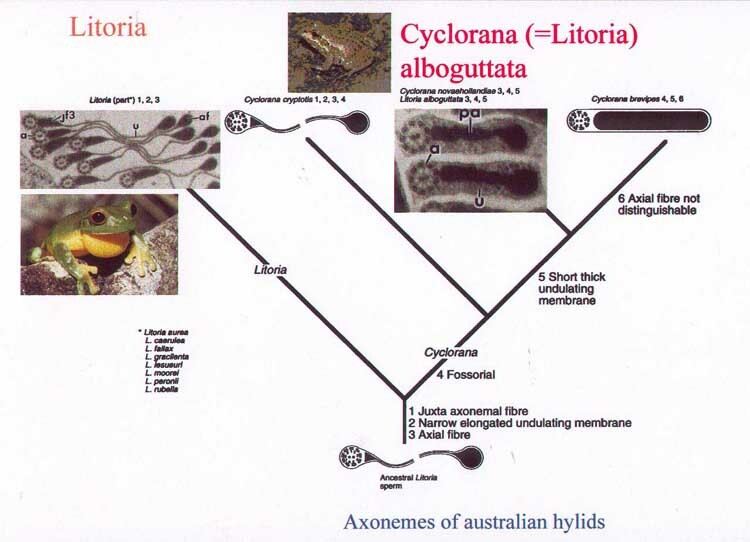 Sperm ultrastructure of six Australian hylid frogs from two genera (Litoria and Cyclorana): phylogenetic implications. Journal of Submicroscopic Cytology and Pathology 29, 443-451. 160. Richer de Forges, B., Jamieson, B.G.M., Guinot, D. and , C.C. 1997g. Ultrastructure of the spermatozoa of Hymenosomatidae (Crustacea: Brachyura) and the relationships of the family. Marine Biology 130, 233-242. Full text. 161. Mollaret, I., Jamieson, B.G.M., Adlard, R.D., Hugall, A., Lecointre, G., Chombard, C. and Justine, J.-L. 1997h. Phylogenetic analysis of the Monogenea and their relationships with Digenea and Eucestoda inferred from 28S rDNA sequences. Molecular and Biochemical Parasitology 90, 433-438. Full text. 162. Guinot, D., Jamieson, B.G.M., Richer de Forges, B. and Tudge, C.C. 1998a. Comparative spermatozoal ultrastructure of the three dromiacean families exemplified by Homolodromia kai (Homolodromiidae), Sphaerodromia lamellata (Dromiidae), and Dynomene tanensis (Dynomenidae) (Podotremata: Brachyura). Journal of Crustacean Biology 18, 78-94. Full text. 163. Tudge, C.C., Jamieson, B.G.M., Sandberg, L. and Erseus, C. 1998b. Ultrastructure of the mature spermatozoon of the King Crab Lithodes maja (Lithodidae, Anomala, Decapoda): further confirmation of a lithodid-pagurid relationship. 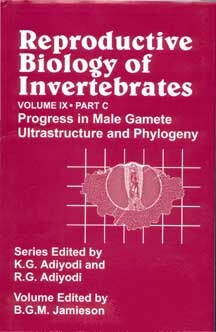 Invertebrate Biology 117, 57-66. Full text. 164. Tudge, C.C., Scheltinga, D.M. and Jamieson, B.G.M. 1998c. Spermatozoal ultrastructure in the spiny lobster Jasus novaehollandiae Holthuis, 1963 (Palinuridae, Palinura, Decapoda). Journal of Morphology 236, 117-126. Full text. 165. Dyne, G.R. and Jamieson, B.G.M. 1998e. Two new semi-aquatic species of Diplotrema (Oligochaeta: Megascolecidae: Acanthodrilinae), with a re-description of the type species. Memoirs of the Queensland Museum 42, 487-493. 166. Tudge, C.C., Jamieson, B.G.M., Segonzac, M. and Guinot, D. 1998f. Spermatozoal ultrastructure in three species of hydrothermal vent crabs, in the genera Bythograea, Austinograea and Segonzacia (Decapoda, Brachyura, Bythograeidae). Invertebrate Reproduction and Development 34, 13-23. Full text. 167. Jamieson, B.G.M., Scheltinga, D.M. and Richer de Forges, B. 1998g. An ultrastructural study of spermatozoa of the Majidae with particular reference to the aaberrant spermatozoon of Macropodia longirostris (Crustacea, Decapoda, Brachyura). Acta Zoologica (Stockholm) 79(3), 193-206. Full text. 169. Harrison, P.L. and Jamieson, B.G.M. 1999b. Cnidaria and Ctenophora. In Reproductive Biology of Invertebrates. Volume IX. Progress in Male Gamete Ultrastructure and Phylogeny. Part A. B.G.M. 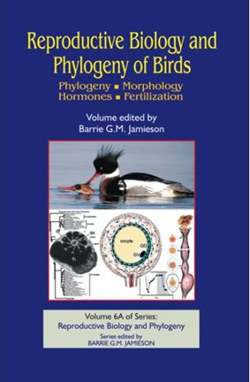 Jamieson (Volume ed. ), K.G. Adiyodi and R.G. Adiyodi (Series eds). pp. 21-95. John Wiley & Sons, Chichester. Full text. 170. Tudge, C.C., Scheltinga, D.M. and Jamieson, B.G.M. 1999c. Spermatozoal ultrastructure in the Hippoidea (Anomura, Decapoda). Journal of Submicroscopic Cytology and Pathology 31, 1-13. Full text. 171. Jamieson, B.G.M. 1999d. Spermatozoal phylogeny of the Vertebrata. In The Male Gamete: From Basic Science to Clinical Applications. C. Gagnon (ed.). Chapter 29, pp. 303-331. Cache River Press, Vienna (USA). Full text. 175. Jamieson, B.G.M. and Tudge, C.C. 2000d. Crustacea-Decapoda. In Reproductive Biology of Invertebrates. Volume IX. Progress in Male Gamete Ultrastructure and Phylogeny. Part C. B.G.M. Jamieson (Volume ed. ), K.G. Adiyodi and R.G. Adiyodi (Series eds). pp. 1-95. John Wiley & Sons, Chichester. Full text. 181. Mollaret, I., Jamieson, B.G.M., Justine, J.-L., 2000j. Phylogeny of the Monopisthocotylea and Polyopisthocotylea (Platyhelminthes) inferred from 28S rDNA sequences. International Journal for Parasitology 30, 171-185. Full text. 182. Schelting, D.M., Jamieson, B.G.M., Trauth, S.E. and McAllister, C.T. 2000k. Morphology of the spermatozoa of the iguanian lizards Uta stansburiana and Urosaurus ornatus (Squamata, Phrynosomatidae). Journal-of-Submicroscopic-Cytology-and-Pathology. [print] April, 2000; 32 (2): 261-271. 183. Buckland-Nicks, J.A., Healy, J.M., Jamieson, B.G.M., O'-Leary, S. 2000h. Paraspermatogenesis in Littoraria (Palustorina) articulata, with reference to other Littorinidae (Littorinoidea, Caenogastropoda). Invertebrate-Biology. [print] 2000; 119 (3): 254-264. 184. Scheltinga, D.M., Jamieson, B.G.M., Espinoza, R.E. and Orrell, K.S. 2001a. Descriptions of the mature spermatozoa of the lizards Crotaphytus bicinctores, Gambelia wislizenii (Crotaphytidae) and Anolis carolinensis (Polychrotidae) (Reptilia, Squamata, Iguania). Journal of Morphology 247, 160-171. Full text. 185. Scheltinga, D.M., Jamieson, B.G.M., Eggers, K.E. and Green, D.M. 2001b. Ultrastructure of the spermatozoon of Leiopelma hochstetteri (Amphibia, Anura, Leiopelmatidae). Zoosystema 23, 157-171. Full text. 186. Tudge, C.C., Scheltinga, D.M. and B.G.M. Jamieson. 2001c. Spermatozoal morphology in the "symmetrical" hermit crab, Pylocheles (Bathycheles) sp. (Crustacea, Decapoda, Anomura, Paguroidea, Pylochelidae). Zoosystema 23, 117-130. Full text. 187. Jamieson, B.G.M. 2001d. Six species of Megascolecinae (Megascolecidae : Oligochaeta) from New South Wales and the Australian Capital Territory. Memoirs of the Queensland Museum 46(2), 589-602. 188. Healy, J.M., Buckland-Nicks, J.A. and Jamieson, B.G.M. 2001e. Spermatozoal ultrastructure of spiny oysters (Spondylidae, Bivalvia) including a comparison with other bivalves. Invertebrate Reproduction and Development 40 (1), 27-37. Full text. 189. Tudge, C.C. and Scheltinga, D.M. 2002a. Spermatozoal morphology of the freshwater anomuran Aegla longirostri Bond-Buckup & Buckup, 1994 (Crustacea: Decapoda: Aeglidae) from South America. Proceedings of the Biological Society of Washington 115, 118-128. 190. Scheltinga, D.M., Jamieson, B.G.M. and McDonald, K.R. 2002b. Ultrastructure of the spermatozoa of Litoria (Hylidae, Anura, Amphibia): modifications for penetration of a gelatinous layer surrounding the arboreal egg clutch. Memoirs of the Queensland Museum 48, 215-220. 191. Jamieson B. G. M., Tillier S., Tillier A., Justine J. -L., Ling E., James S., McDonald K. & Hugall A. F. 2002c. Phylogeny of the Megascolecidae and Crassiclitellata (Annelida, Oligochaeta): combined versus partitioned analysis using nuclear (28S) and mitochondrial (12S, 16S) rDNA. Zoosystema 24 (4), 707-734. Full text. 192. Scheltinga, D..M., Jamieson, B.G.M., Bickford, D.P. Garda, A.A., Báo, S.N. and McDonald, K.R. 2002d. Morphology of the spermatozoa of the Microhylidae (Anura, Amphibia). Acta Zoologica 83 (4), 263-275. Full text. 193. Johnston, S.D., Daddow, L., Carrick, F.N., Jamieson, B.G.M. and Smith, L. 2003. Cauda epididymidal spermatozoa of the rufous hare wallaby, Lagorchestes hirsutus (Metatheria, Mammalia) imaged by electron and confocal microscopy. Acta Zoologica 84, 139-143. Full text. 194. Scheltinga, D.M., Wilkinson, M., Jamieson, B.G.M. and Oommen V.O. 2003. Ultrastructure of the mature spermatozoa of caecilians (Amphibia: Gymnophiona). Journal of Morphology 258: 179-192. Full text. 197. Johnston, S.D., Daddow, L., Carrick, F.N. and Jamieson, B. 2004. Observations of spermiogenesis and epididymal sperm maturation in the rufous hare wallaby, Lagorchestes hirsutus (Metatheria, Mammalia). Acta Zoologica 85, 53-58. Full text. 198. Jamieson, B.G.M. and Tripepi, S. 2005. Ultrastructure of the spermatozoon of Apus apus (Linnaeus 1758), the common swift (Aves; Apodiformes; Apodidae), with phylogenetic implications. Acta Zoologica (Stockholm) 86: 239-244. Full text. 199. Jamieson, B.G.M. 2006. Non-leech Clitellata. (with contributions by Marco Ferraguti). Pp. 235-392. In Reproductive Biology and Phylogeny of Annelida. Series Editor B.G.M. Jamieson. Volume 4. Editors Greg Rouse and Fredrik Pleijel. 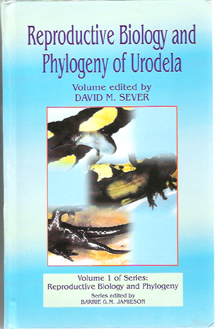 Science Publishers, Enfield, New Hampshire, U.S.A. Jersey, Plymouth, U.K. ISBN 1-57808-313-3. http://www.scipub.net/ FULL TEXT, PART 1. FULL TEXT, PART 2. 201. Tripepi, S., Jamieson, B.G.M. and Brunelli, E. 2006. Ultrastructure of the spermatid of Caprimulgus europaeus Linnaeus 1758, the European Nightjar (Aves; Caprimulgidae), with phylogenetic implications. Journal of Morphology 267(10): 1157-64. Full text. 202. Jamieson, B.G.M., Hodgson, A. and Spottiswoode, C.N. 2006. Ultrastructure of the spermatozoon of Myrmecocichla formicivora (Vieillot, 1881) and Philetairus socialis (Latham, 1790) (Aves; Passeriformes), with a new interpretation of the passeridan acrosome. Acta Zoologica (Stockholm) 87: 297–304 (October 2006). Full text. 203. Birkhead, T. R., Giusti, F., Immler, S. & Jamieson, B. G. M. 2006. Ultrastructure of the unusual spermatozoon of the Eurasian bullfinch (Pyrrhula pyrrhula). Acta Zoologica (Stockholm) 88: 119-128. Full text. 204. Sperone. E, A. Bonacci, A., Brunelli, E. , Tripepi, S. and Jamieson, B. G. M. 2009. Male reproductive system in the Italian newt Lissotriton italicus (Peracca 1898) (Amphibia, Urodela): ultrastructural and morphological study with description of spermiogenesis, spermatozoon and spermatophore. Zoomorphology 128(2): 183-195. Full text. 205. Jamieson, B.G.M. 2007. Avian Spermatozoa: Structure and Phylogeny. Pp. 349-511. 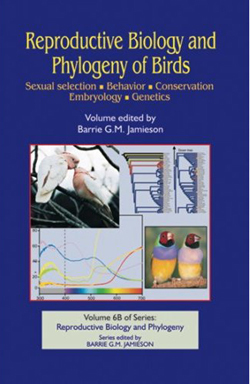 In Reproductive Biology and Phylogeny of Birds. Series Editor and volume editor B.G.M. Jamieson. Volume 6 A and B. Science Publishers, Enfield, New Hampshire, U.S.A. Jersey, Plymouth, U.K. 2007. FULL TEXT: Part 1. Part 2. Part 3. Part 4. 206. Jamieson BGM, Mconald KR, James SW 2013. A new species of Terrisswalkerius (Megascolecidae, Megascolecinae, Oligochaeta) from the Wet Tropics of Queensland. 58 1: 15-21. 207. Christopher C. Tudge CC, Scheltinga DM, Jamieson BGM, Guinot D, Richer de Forges B. 2014. Comparative ultrastructure of the spermatozoa of the Majoidea (Crustacea, Decapoda, Brachyura) with new data on six species in five genera. Acta Zoologica (Stockholm) 95: 1–20. 208. Moreau CS, Hugall AF, McDonald KR, Jamieson BGM, Moritz C. 2015. An Ancient Divide in a Contiguous Rainforest: Endemic Earthworms in the Australian Wet Tropics. PLoS ONE 10(9):e0136943. 209. Jamieson BGM. 2015. The ultrastructure of spermatogenesis and spermatozoa of the Tuatara Sphenodon punctatus (Sphenodontida, Amniota). In: Rheubert J, Siegel D, Trauth S, editors. Reproductive Biology and Phylogeny of Lizards and Tuatara. Boca Raton London New York: CRC Press. p 647-675. 210. Jamieson BGM, Haas, W. 2016. Miracidium of Schistosoma. In: Jamieson BGM, editor. Schistosoma: Biology, Pathology, Control. Boca Raton London New York: CRC Press. p 77-117. 211. Jamieson BGM. 2016. Nervous and sensory system of Schistosoma. In: Jamieson BGM, editor. Schistosoma: Biology, Pathology, Control. Boca Raton London New York: CRC Press. p 272-279. 212. Joness, MK, Jamieson BGM, Justine, J-L. Reproductive System of Schistosoma. In: Jamieson BGM, editor. Schistosoma: Biology, Pathology, Control. Boca Raton London New York: CRC Press.p 280-299. 213. Jamieson BGM, Justine J-L. 2016. Spermatozoa, spermatogenesis and fertilization of Schistosoma. In: Jamieson BGM, editor. Schistosoma. In: Jamieson BGM, editor. Schistosoma: Biology, Pathology, Control. Boca Raton London New York: CRC Press. p 300-319. Erséus and Jamieson, 1981. Heron Island;11. Heteroporodrilus Jamieson, 1970a. Australia;12. Hickmaniella Jamieson, 1974a. Australia; 13. Hiatidrilus Jamieson, 1994. Australia14. Jamieson, 1972c. Australia;22. Pseudonotoscolex Jamieson, 1971e. Australia;23. Pseudoperichaeta Jamieson, 1970a. Australia;24. Simsia Jamieson, 1972a. Australia;25. Standeria Jamieson, 1968c. S. Africa; 26. Terriswalkerius Jamieson, 1994. Australia. 27. Troyia Jamieson, 1977d. India;28. Vesiculodrilus Jamieson, 1973a. Australia. 29. 2000. 32. Geofdyneia Jamieson, 2000. 33. Healsevillea Jamieson, 2000. 34. Kangaridrilus. Jamieson, 2000. 35. Scolecidrilus Jamieson, 2000. Australia. Spenceriella (Austroscolex) Jamieson, 1977b. Lord Howe Is. Also Polychaeta. (1 species), Lizard Island. Trematoda Digenea. (1 species), Australia. Barriejamiesonia (Oligochaeta: Alluroididae), Ljungstrom 1971 (South Africa). Jamiesoniella (Oligochaeta: Tubificidae), Erséus 1981 (Natural History Museum, Stockholm). Heterodrilus jamiesoni (Oligochaeta: Tubificidae), Erséus 1981 (Natural History Museum, Stockholm). Platipilumnus jamiesoni (Crustacea, Brachyura), Richer de Forges 1996. Prosellodrilus jamiesoni ( Oligochaeta, Lumbricidae), Qiu and Bouché, 1998. Episiphon jamiesoni Lamprell and Healy 1998 (Mollusca).